Brevity and levity are at the heart of the World T20's success and, although the men were now in action for three weeks rather than two, there was no sense of bloating. If anything, the two distinct stages lent a freshness to one another. Cricket has long had its format wars but the transition to a new-model World T20 seems to have been a peaceful one. Inviting a few more Associates to sit at the table - even if they were only given stools to begin with - was a rousing success, with memorable wins against Full-Member opposition for Netherlands, Hong Kong and Ireland. The first round was an up-tempo tightrope walk for Bangladesh, the hosts, and Zimbabwe. The latter were sent tumbling out, pushed off balance by Ireland and then downed by a trapeze act from Netherlands. Bangladesh seemed to have converted a sense of umbrage at effectively having to qualify for their own tournament into a storm-the-beaches show of force, winning their opening two games comfortably; then came the night when it all went wrong against Hong Kong in Chittagong. Victory for Hong Kong, the last of the 16 teams to qualify for the World T20, against a Test-playing nation - albeit one of the weakest - ought to be remembered as one of the great upsets. It sent Bangladesh into a tailspin, though it should have also provided a reality check. They were once the side that noisily celebrated the overthrow of established powers but the competition below them appears to be growing. There was little "Joy Bangla" thereafter, as qualification brought a series of heavy defeats for the national team. The locals in Dhaka, Chittagong and Sylhet were able to enjoy the rest of the tournament, however, as the main group stages played out a series of close-fought, entertaining matches. In the women's event up in Sylhet, crowds thronged to the picturesque ground set in a tea garden. England and Australia, the two eventual finalists, both lost their opening games, while South Africa reached the last four for the first time with a dramatic win in their final group match against New Zealand. Bangladesh, making their debut, pulled off a memorable win over Sri Lanka to further endorse the competition's expansion. The men's Super 10 featured one intensely competitive group - the one with the Associate involved. 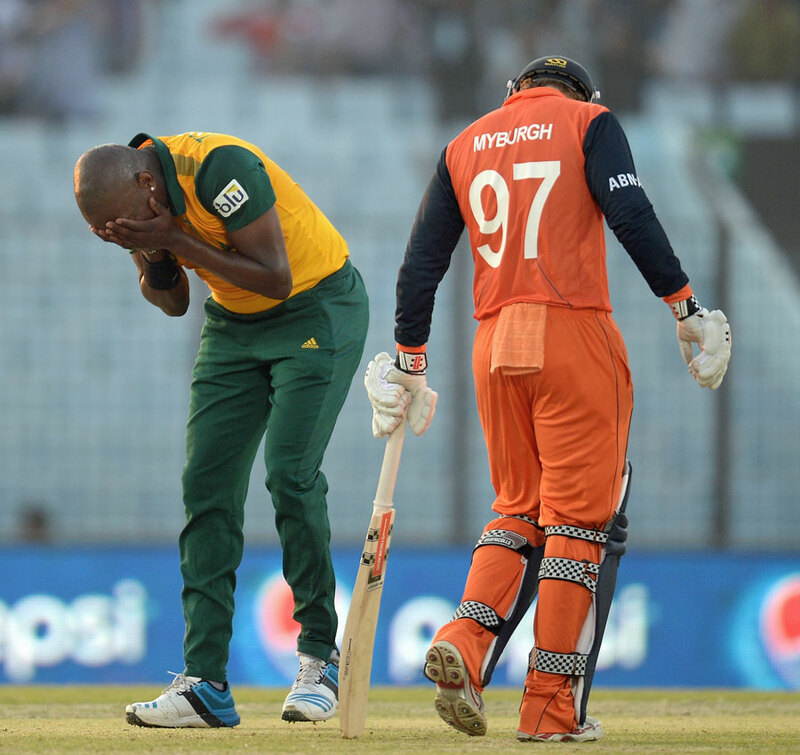 After their record-breaking, genre-expanding win over Ireland to steal into the second round, Netherlands were bowled out for 39 by Sri Lanka and then should have beaten South Africa. A coolly taken victory over England in their final match provided catharsis. The Netherlands story was another vibrant thread weaved into the tournament's tapestry, while at the same time helped highlight how precarious life can be for cricket's second-tier citizens. Brevity and levity are at the heart of the World T20's success and, although the men were now in action for three weeks rather than two, there was no sense of bloating. If anything, the two distinct stages lent a freshness to one another. Nepal's delight was unbounded by their two wins, even though they didn't progress. Afghanistan's chagrin at failing to make a bigger mark was equally notable. The quality level then rose as the bigger boys took their ball back. The ICC reported a resounding success on attendance figures, as the Bangladeshi people lived up to their cricket-mad reputation. All games were sold out, though whether quite that many made it through the turnstiles was harder to calculate. One problem with the format of playing the women's semi-finals and finals before the men's was highlighted by how few spectators bothered to come for the early game. Increasingly, it seems, women's T20 deserves to be sold as a proposition in its own right - an idea that will be tested with a first standalone tournament in 2018. Such is the nature of life at the ICC that it cannot be sure of retaining the 16-team men's format in two years' time. However, it seems certain that if T20 is to be cricket's growth vehicle, it needs to have as many countries on board as it possibly can. Playing at global tournaments is the best way for the smaller teams to adjust and improve, be it to the increased media attention, the extra security or the pressure of competition at the highest level. Charlie Burke, Hong Kong's coach, emphasised how important such experience was. "The one big thing that I say to the players is you've got to soak everything up," he said during the first round. "It's not every day you get to play in a World T20 and play on such a big stage in front of cameras." Of course, the most daring thing the ICC could do would be to introduce an even more meritocratic structure: four groups of four, with the top two progressing to the quarter-finals, from which point the competition would be a straight knockout. Theoretically, the eight grandees would all go through but the level of jeopardy would be increased. There would be mismatches but there would also be the very real chance of thrillingly unexpected reversals. The whole thing would still only take about three weeks. Sadly, TV rights being what they are, too much rides on certain teams being involved in a guaranteed number of matches, rendering such a bold move unlikely. The current set-up may be the best we can wish for but, if the 2014 World T20 taught us anything, it is that we should never stop daring to dream.